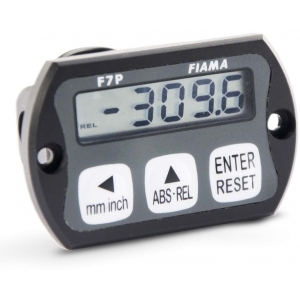 F7P display for panel mounting. 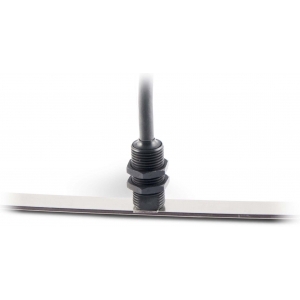 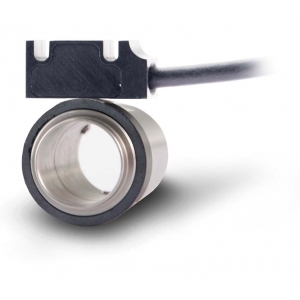 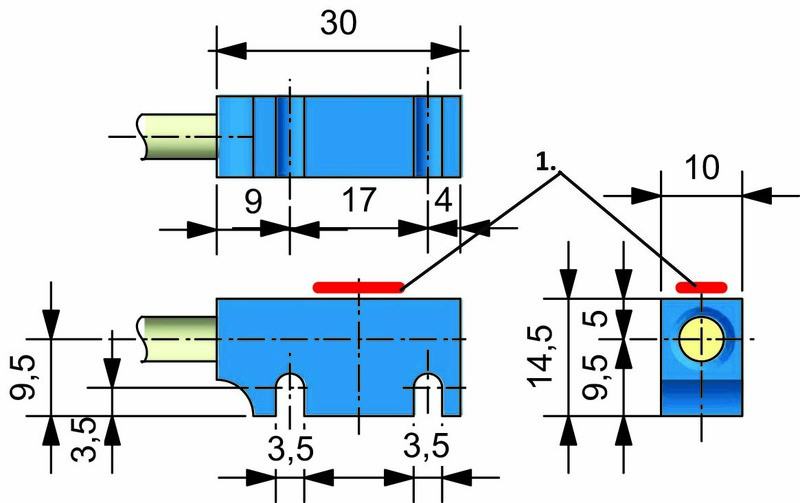 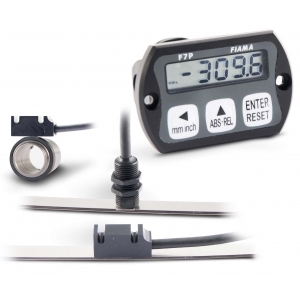 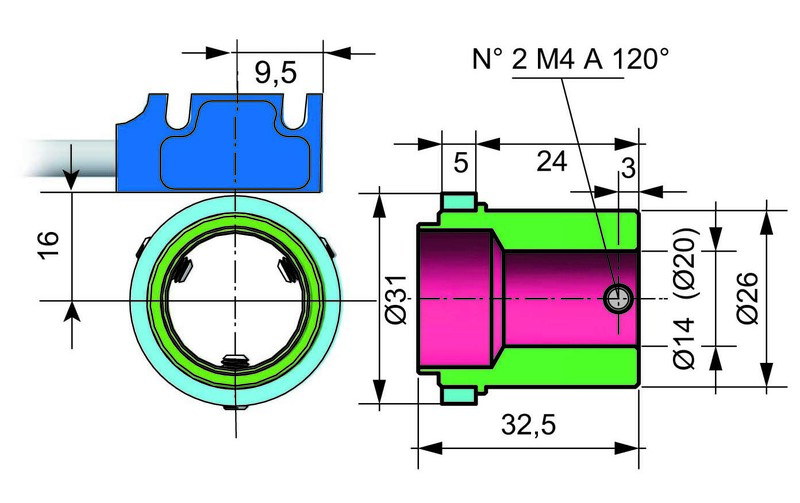 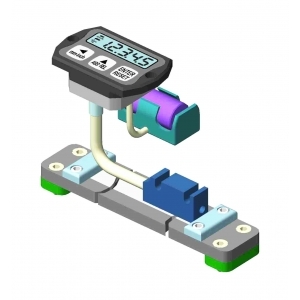 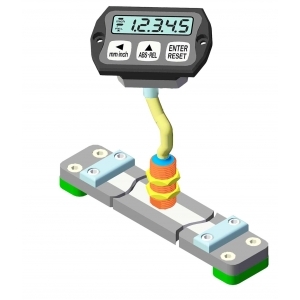 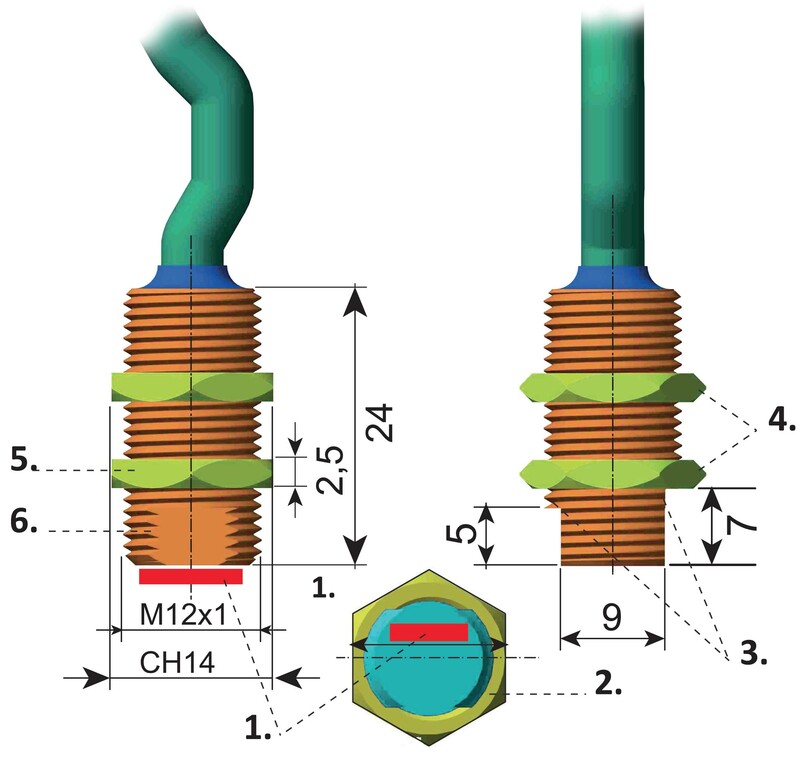 Extremely small size with integrated position sensor to be combined with P50 magnetic band or DM30 magnetic ring, offers a complete system for measuring linear and angular displacements. 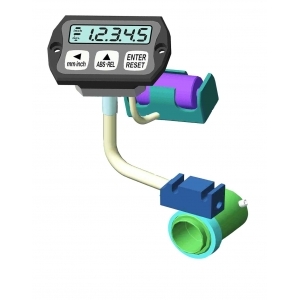 • LCD display with digit 7.5mm height, high visibility. 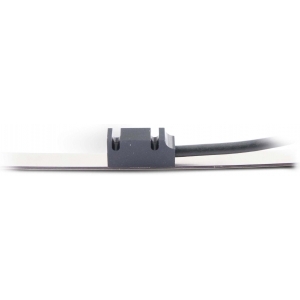 • Housing in black anodized aluminum, easy installation through two screws on both sides of the instrument. 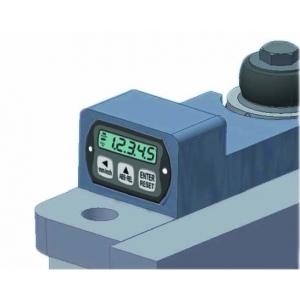 • Powered by a lithium battery 1 / 2AA 3.6V, 4 years life. 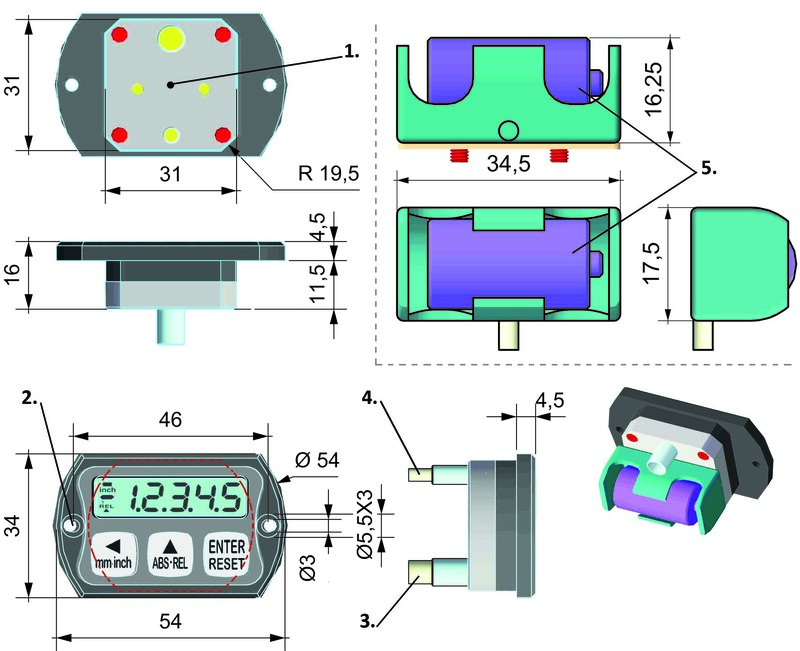 The battery holder is external to the instrument for quick and easy replacement and is protected against polarity reversal in the case of incorrect installation of battery.